ANU Professor Carola Vinuesa, Co-Director of the Centre for Personalised Immunology, has been honoured as one of Australia's leading medical researchers with two prestigious awards from the National Health and Medical Research Council (NHMRC). 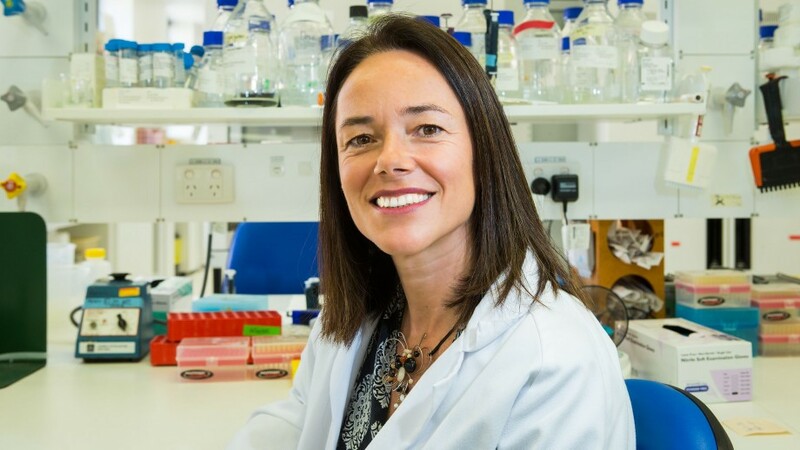 She was named as the NHMRC's top female researcher in biomedical science in 2016, winning a prized Elizabeth Blackburn Fellowship for a second time. Professor Vinuesa was part of a team that also included Dr Anselm Enders and Dr Simon Jiang named the NHRMC's top Project Grant application. "In 2011, Carola was awarded an Elizabeth Blackburn Fellowship, named in honour of Elizabeth Blackburn who won the 2009 Nobel Prize for Medicine. To be awarded a second Blackburn fellowship is an extraordinary achievement and testament to Carola's remarkable work at JCSMR.” Professor Schmidt said. These awards coincide with new research by Professor Vinuesa and co-researcher Ilenia Papa, due to be published today, on the human immune system.